Each Hearts on Fire diamond contains a perfect ring of eight hearts around the bottom of the stone and a symmetrical Fireburst at the top. The increased surface area reflects light from the top to create intense brilliance. Such perfection requires strict standards. 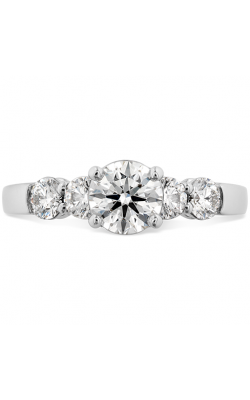 Fewer than one-tenth of one percent of the world's diamonds can be cut in the Hearts on Fire style. Furthermore, the brand only uses conflict-free gemstones. Less than 400 people on the planet are qualified to create Hearts On Fire diamonds. These artisans use 100x magnification to carve the diamonds as opposed to the 10x industry standard. 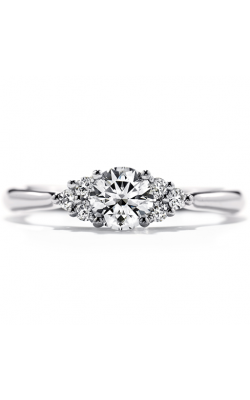 Hearts on Fire engagement rings shine brighter than their competitors. 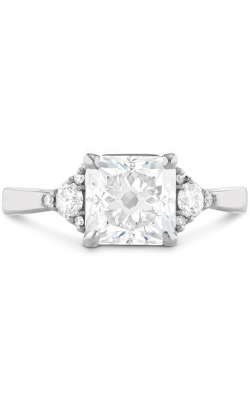 Many customers choose to allow the expertly-cut diamond to take center stage with a classic ring style. 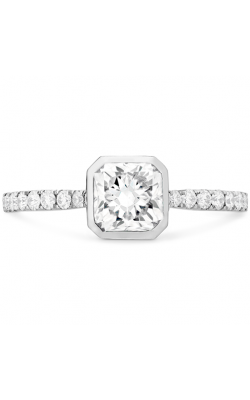 Camilla rings are delicate and dainty with thin pavé bands and sparkling solitaires. 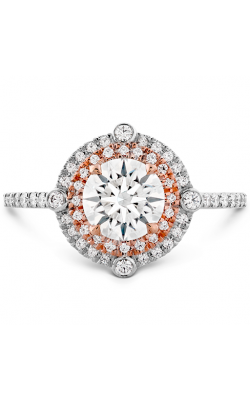 The Delight collection features a snowflake-inspired wreath of Hearts on Fire diamonds around the center stone. 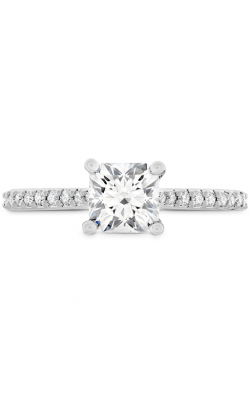 Many rings of the Purely Bridal collection utilize a tapered band to give the illusion of a larger center diamond, even at a lighter carat weight. 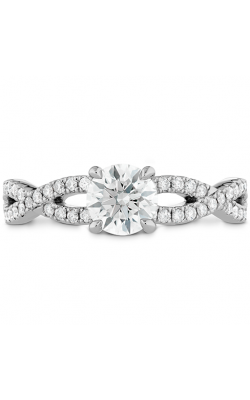 Simply Bridal builds on this concept with pavé bands, open shanks, and side stones. 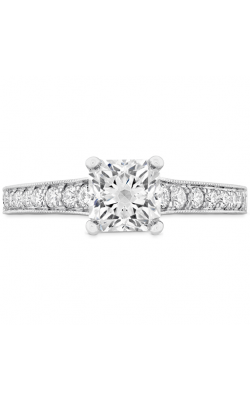 Specialty and contemporary collections set Hearts on Fire engagement rings apart even further with unexpected details. The Juliette collection features mildly contemporary bezel settings in classic silhouettes. 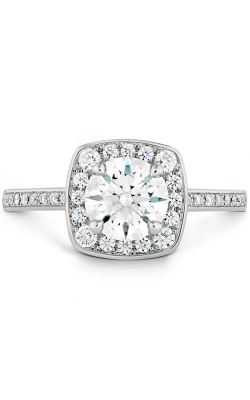 Lorelei is vibrantly feminine and on-trend with Instagram-worthy details like alternating round and oval settings along a pavé band. In the Destiny collection, Hearts on Fire round diamonds are accented by twisted shanks and halos that give the illusion of other shapes. Green thumbs can move the garden to their ring fingers with the Felicity Queen Anne collection. 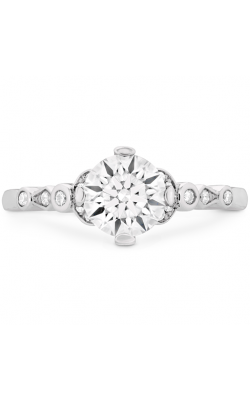 The prongs holding the diamond firmly in place also add a decorative touch, resembling wispy Queen Anne's lace. 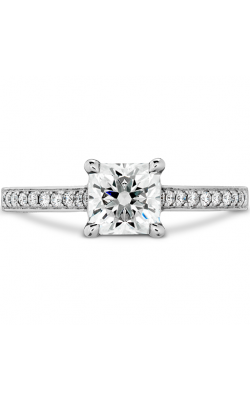 Why Shop for Hearts on Fire Engagement Rings at MJ Christensen Diamonds? MJ Christensen Diamonds of Las Vegas, NV has been in the jewelry business for over 78 years. In addition to Hearts on Fire, we carry other top engagement and wedding ring designers, timepieces, and fine fashion jewelry. We appreciate your investment in diamonds, so we offer 0% financing options, repair and appraisal services, and a 100% refund policy. For inquiries regarding our products, services, and hours, please stop by our showroom in the Boca Park Shopping Center. You may also visit our website or call us at (702) 952-2300. 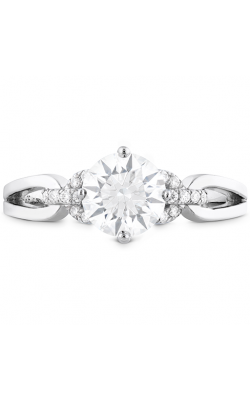 Expert jewelers are waiting to assist you.